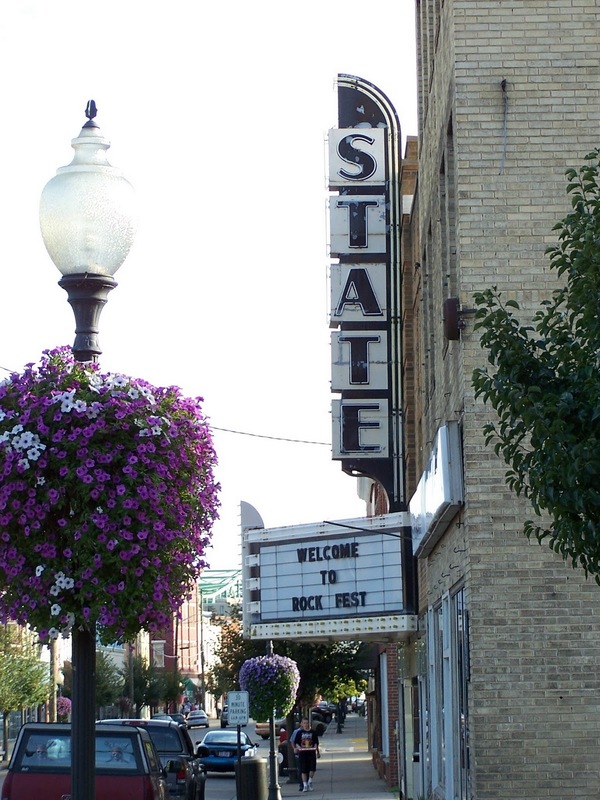 As part of the weekend kickoff, the historic State Theater in downtown Pt. Pleasant was having a FREE screening of the documentary, Eyes of the Mothman. This 2011 documentary was written and directed by Matthew J. Pellowski and runs a little over 2.5 hours. 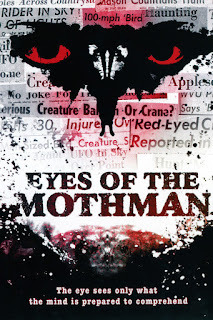 There are a LOT of great documentaries and television shows featuring the Mothman, but you're not going to find anything as thorough and as well-researched as this documentary. It really goes in depth with exploring the Native American history of the area, the border warfare between the Native Americans and the white settlers/soldiers during the 1700s, the different sightings of Mothman, the different theories of what Mothman might be, other types of flying humanoids, Indrid Cold, etc. 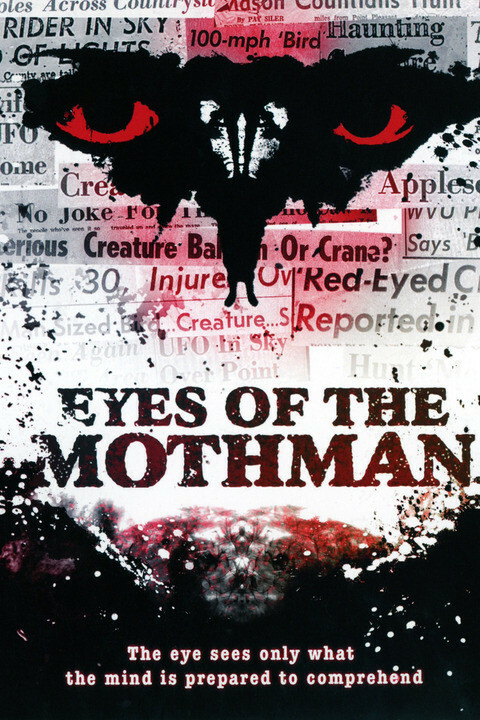 Anything that even remotely ties in with the Mothman mythos is covered and many different experts, professors, locals, and eyewitnesses are interviewed. I definitely recommend this movie if you haven't seen it. Anyway, before the film even started, Carrie (my HPIR buddy), her son, and I got to town early for a quick dinner. Having always wanted to try the Iron Gate Grill and being turned away last year, we decided to give it another shot. The Iron Gate Grill has been a fixture in Pt. Pleasant for years and we were pleased to see that they weren't too busy. We were quickly seated and had our drink orders taken. The booth we were given was extremely comfortable and unique, and the decor of the restaurant was really cool. I love old buildings, and this one definitely had a great feel to it. The staff, including our server, seemed pleasant enough. Unfortunately, our sodas took over 15 minutes to arrive, and it would be at least another 10 before our waitress made time to take our food order. When the food arrived, it wasn't horrible---but it just wasn't what I expected. I was under the impression that this was a nicer restaurant. It certainly looks classy from the outside and the prices reflect a more upscale establishment, but the food just didn't reflect that. It wasn't bad--just very bland and very simplistic. My burger didn't taste like it had any seasoning at all, and the macaroni was straight out of a box of Kraft. I've read a lot of reviews of this place and it seems that people LOVE it throughout the year, but during Mothman Festival time, they just cannot get it together. I understand that the festival is a busy, stressful time, and being one of few nice, sit-down restaurants within walking distance, its gonna get crazy. Therefore, I wouldn't recommend trying this place any time near the festival, but it might be worth it during other times of the year. Dinner wasn't a five star experience, but we weren't going to let that bother us. We finished up and made our way to the theater. An array of baked goods (including Mothman brownies), candies and drinks were available in the lobby for purchase, and a small food truck was set up outside with some tasty-looking options. I loved the fact that the State Theater was being used to show the movie. 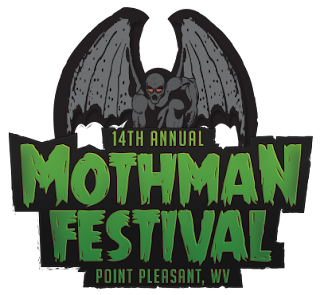 Way back when HPIR had its first booth at the Mothman Festival (2007) we were invited by the people who were running the theater at the time to investigate the claims of paranormal activity. Several members of the team had simultaneously seen what looked like a shadowy form cross by in front of the ladies' restroom and we were excited about the prospect of witnessing the alleged apparition of a former employee who was said to make his nightly rounds, checking out the theater floor. We also learned that the storefront adjacent to the theater was used as sort of a staging area during the recovery efforts following the Silver Bridge collapse and that bodies were temporarily stored there. We didn't experience any ghosts the night of the documentary, but we did experience something that was pretty darn strange. There was a really good turnout for the film, but we still managed to get good seats right in the middle section, just a few rows back from the front. After awhile, a few people around us left, leaving the rows in front of us completely empty. It was a little under 2 hours into the film when an older man came walking down the aisle to our right, threw his stuff down, including a cane and a bundle, sat down, threw his hat off, dropped the cane, picked the cane BACK up, put his hat back on, and walked back up the aisle without the cane. He came back a moment later and sat down. At that point he began furiously writing something in a notebook, despite it being pretty dark in the theater. While this is going on, I started feeling uncomfortable. I know the Mothman Festival has the potential to bring out some...different...types of folks, but this was getting to the point where I felt personally that we weren't dealing with an every-day eccentric. When the guy violently ripped a page from his notebook, tearing the paper almost in half in the process and then walked over and thrust it at a boy sitting with his family in the next aisle over, all three of us present gave each other the LOOK. When the guy then approached the stage and leaned over it (using it as a table, I guess, but giving him an eerie appearance from behind as if he were praying at an altar) we decided we needed to leave---immediately. I don't think I can put into words what I felt---just that I felt so uncomfortable and had a nagging feeling that we had to leave or else. As we were standing outside the theater discussing what we should do (tell the staff, although they didn't seem too concerned by the guy's erratic behavior or go back in and find different seats) the guy quickly comes out of the theater and starts walking towards us. We made a hasty retreat to the car and booked it out of town!